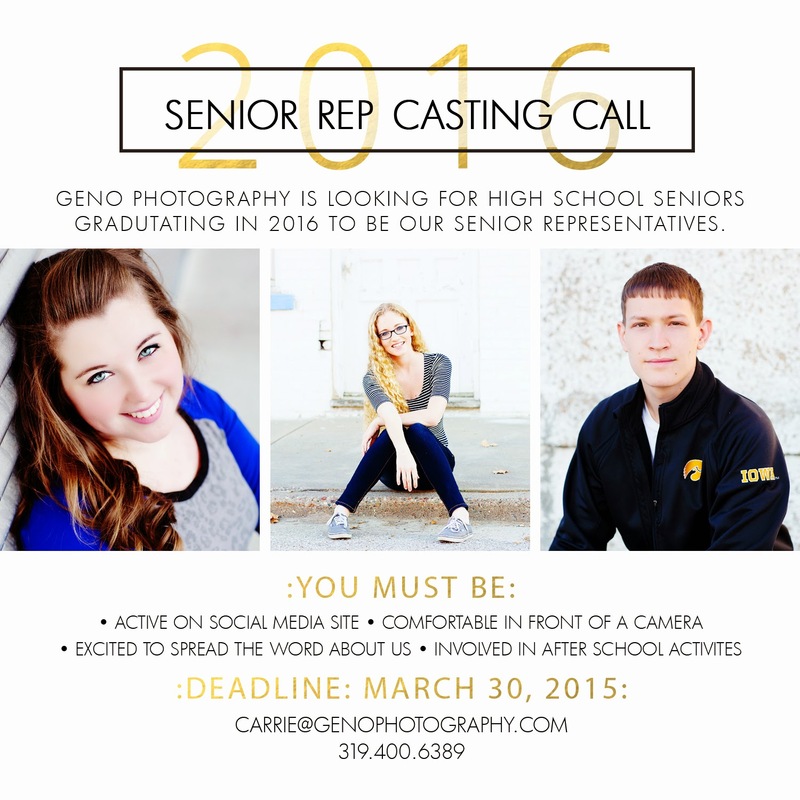 Geno Photography: Class of 2016 Senior Reps Wanted! Hard to believe it, but senior year is approaching quickly! Just a few short months and your junior year will come to an end. Geno Photography is looking for outgoing and energetic students to be our new senior representatives! This is an amazing opportunity to not only earn free products, but also the be the trend setter for your graduating class. Check out more about our Senior Rep Program here! Spaces are limited, so contact Geno Photography today to reserve your spot!